Fred Aldous Glass Lac. End Of Stock. We were told last week that Fred Aldous is to stop stocking it own brand “Fred Aldous Glass Lac”. They have supplied this glass paint for as long as I can remember and I think it’s a great shame. 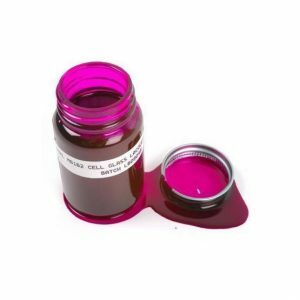 It’s a cellulose based glass paint which gives really great colours and is great for mixing and blending. There is also a lovely Pearl version which can be mixed with the other colours. It is in fact the very same type of paint as the old Rainbow Glass Solvent paints, another brand you can no longer get. Anyway we’re not sure how much longer they will have it in stock. At the moment they have is in their “old stock” section at a very good price. (£3.25 for 60ml), just search for Fred Aldous Glass Lac. I assume when their current stock runs out that will be it. We aren’t sure if anyone else sell this particular paint but we do intend to try and contact the manufacturer next week and find out. Obviously there are other solvent based paints on sale out there but the cellulose ones, although a bit smelly, do give a really nice transparent finish. We will update this post if we get any more information (Or if you know of anyone else who sells them maybe you would like to let us know. ).